I am happy to announce our first marketplace content. The Action RPG Inventory System is a multiplayer supported inventory management system featuring equip-able and usable items. It can be used in single-player and multiplayer projects, regardless of your game theme and UI design. The Action RPG Inventory System allows for easy interaction between the player’s inventory and individual objects in the world or actors that have an inventory. It is designed with a multiplayer first approach and the network traffic is minimized when passing item information and requests between the server and clients. The system is encapsulated into its own components which makes it easy to integrate into existing projects. The technical demo included is an MMO styled example with a Drag & Drop UI. 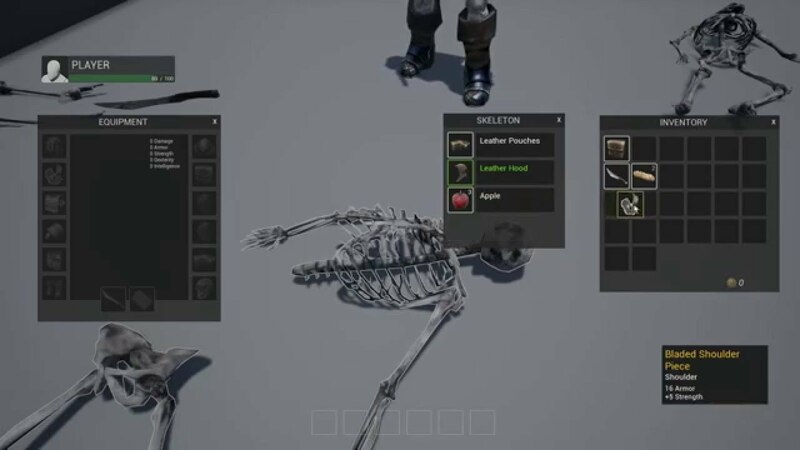 This demo showcases how quick it is to implement and use the Inventory System in your own project. The system is easy to learn and expand upon to meet your specific needs. Single Player and Multiplayer 100% supported. Clean, efficient and easy to follow code. Single Player physics based item interaction. Replicated player stats and equipment. Configurable equipment, items, and stats. Customizable player equipment types and slots. Create new items quickly and with ease. Practical and easy to modify ‘Drag & Drop’ UI example. Master Item list and Loot Table list examples. Move, drop, use, equip, unequip, swap, stack and split items. Loot container and storage container blueprints samples included. Includes Usable, Equipment, Consumable and Currency item examples. This is not an RPG Starter Kit and the practical examples and items demonstrating how to easily use the Action RPG Inventory System are a bonus. or simply message me through the forums. Last edited by Pirate; 05-24-2017, 09:31 PM. It looks freaking awesome (: I'm really looking forward to it! Awesome work! good to see a well rounded high quality Inventory system coming to the marketplace. I love how the outline on the item doesn't show through the player. Last edited by Robviously; 12-11-2015, 08:52 PM. This is really clean looking. 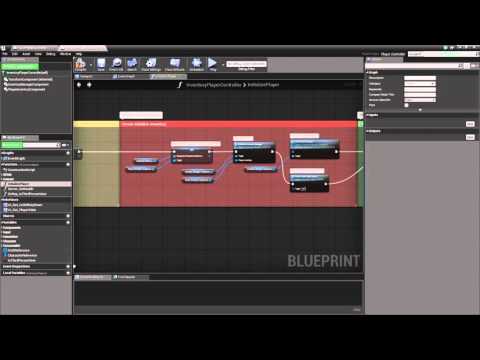 I'd be very interested in a video showing the UI "drag and drop" functionality you describe. As some one who has been spending a lot of time on an inventory for my Survival Game Template, I'm very jealous of this system XD Awesome work man. Game Designer @ Masked Pharaohs .. I'm Providing Arabic Support For Any One .. I'm glad I have held off on a few purchases because this seems to fit my needs MUCH better! Did you consider supporting any database system as a backend ? While it does not support database loading out of the box, it was designed with that in mind. The Master Item list and Loot Lists are saved in datatables, which are essentially exactly the same as a CSV file or a database table. This makes it very easy to load things like your item stats, player and container inventories to and from a database. I would suggest looking into the VaRest plugin as that is a very easy way through blueprints to interact with databases using json. How long is this going to take to hit the marketplace? And what is your target price for your work? **** man... video looks amazing! Would you please elaborate on this? I couldn't see any physics based item interaction in the video? How would this feature work out?